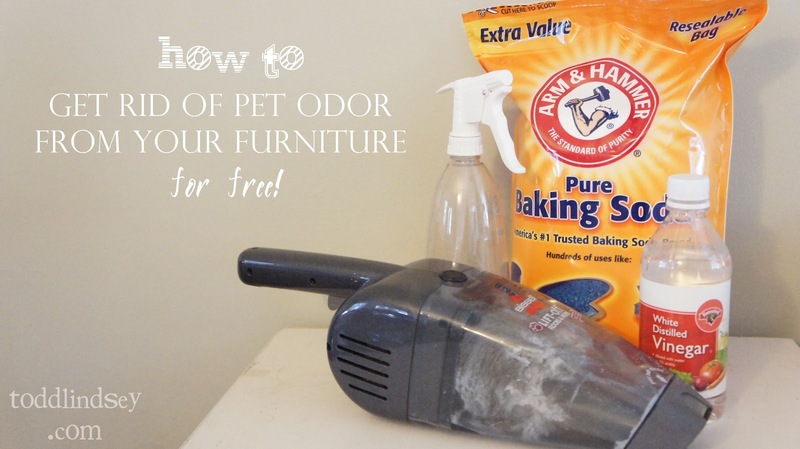 Domer Home: Good Bye Pet Odor! The last few weeks have been hot. Plus, we haven't had AC because our unit was pretty much shot. Add to the mix two cats and a sweaty dog and you get some massive unpleasant smells. I found an easy tip on how to refresh your soft furniture online here but was pretty wary; I mean, would it really work? 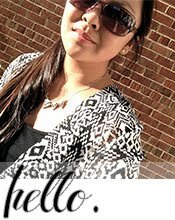 So I tried it out... and ta-da! It worked! This is great for furniture that you can't throw in the wash because it doesn't have a removable slipcover... like our sofa. And if you don't want to spend the cash on a steam cleaner. Remove all throws, pillows and animals. Then, vacuum your sofa. If your cushions come off, take them off and throughly vacuum them. If you find some pocket change in there, consider that your payment! Pour some vinegar in your spray bottle or if you were lucky like me, your spray nozzle will fit perfectly on your vinegar bottle. 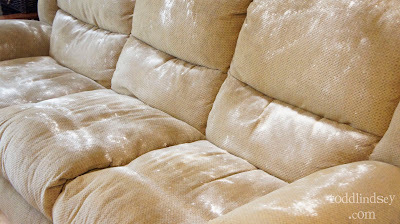 Spray your cushions and furniture! The vinegar will absorb the pet smells. I was surprised because I thought my house would smell like vinegar but the vinegar smell really wasn't strong at all. I guess it was hard at work absorbing other smells. Wait. Let that vinegar soak up the smelly smells! I let mine sit for maybe 30-40 minutes. Sprinkle baking soda wherever you sprayed the vinegar. This will absorb any lingering pet smells and any leftover vinegar reek. I just used my hands to sprinkle it on and then spread it around. Wait some more. Let that baking soda absorb all remaining smells! I let mine sit for another 20-30 minutes. Vacuum up all that baking soda! My vacuum isn't all that powerful so there was still some white dust floating around. It disappeared pretty quickly after the sofa was used though. I need this, I'm training my little chihuahua puppy and she's not always accurate in where she should go, lol! Pinning!